For the better results in Sit&Go or MTT tournaments professional poker players use the "Push or Fold" strategy. 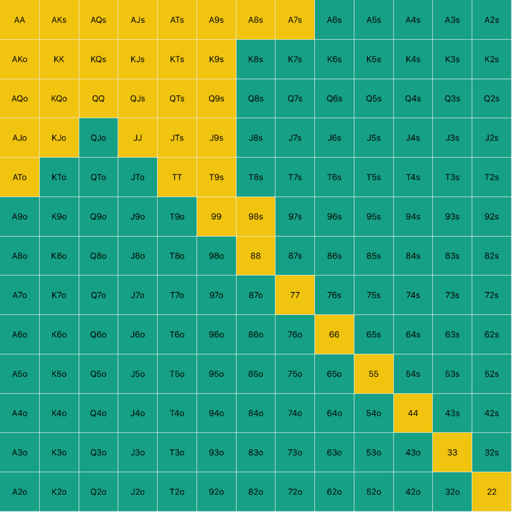 It is built on the theory that when you have 15 BB or less you have two ways: go All-in or Fold. The Push Helper app is based on the Nash equilibrium and shows all of the profitable push or call ranges. 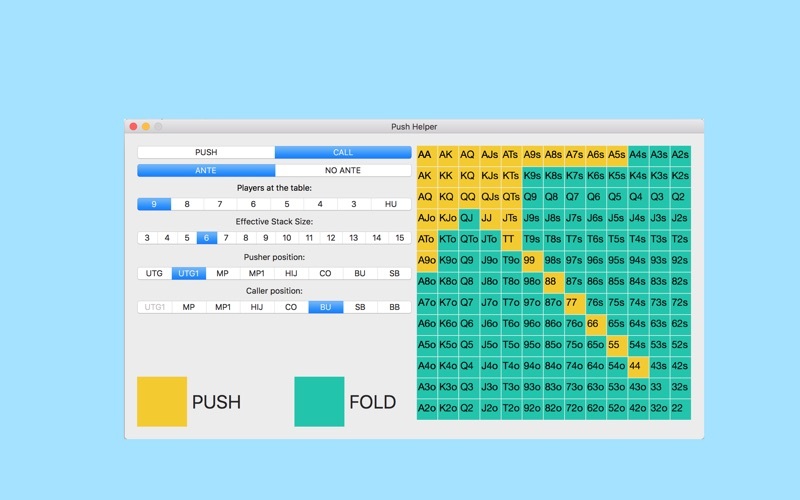 Push Helper shows more than 4000 visualized ranges to play with short stack (from 3-15 BB) with different number of opponents (from 9max to HU). Choose needed filters and get all your profit hands in seconds. This app was designed by professional poker players who has won millions dollars in on-line and live poker tournaments. The Push Helper app is irreplaceable for professionals to play the EPT/WSOP tournaments level as well as for the beginners who plays poker with friends.